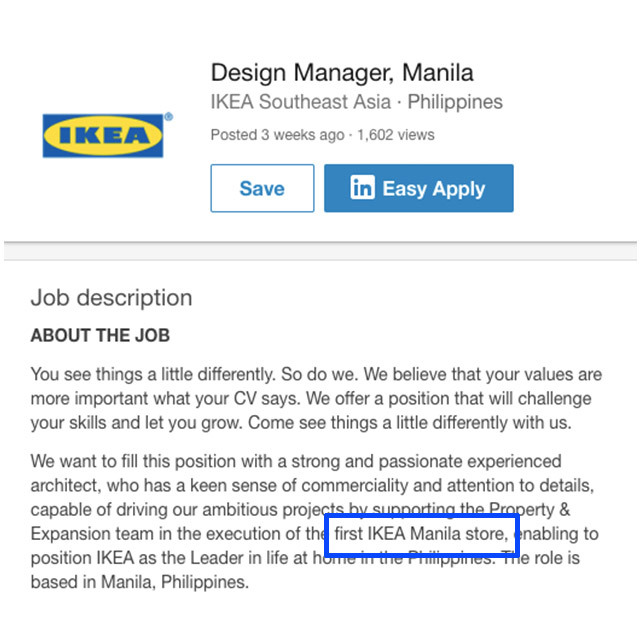 Heads-up: IKEA Is Looking for a Design Manager for Manila! Not too long ago, we published an article about the possibility of IKEA finally openings its doors in the Philippines after Swedish Ambassador Harald Fries mentioned the advantages of setting up a store in our shores. We patiently waited for updates and when a couple of readers spotted a familiar blue building in Laguna, we all hoped for the best. After all, who wouldn’t get excited? The colors and structure will remind you of IKEA buildings we often see in photos. And truth be told, the idea of getting our hands on chic pieces of furniture with delicious Swedish meatballs on the side had us prepping lists of items to check out and mini makeovers to work on at home. If you’ve been following developments closely, you’ll know that the said building is actually online shopping site Lazada’s 4th warehouse. Months passed and we haven’t heard any news about IKEA PH actually happening. Not until a few days ago—when a Real Living reader sent us a message with a screenshot of a job opening she stumbled upon on LinkedIn, a site many use when job hunting. 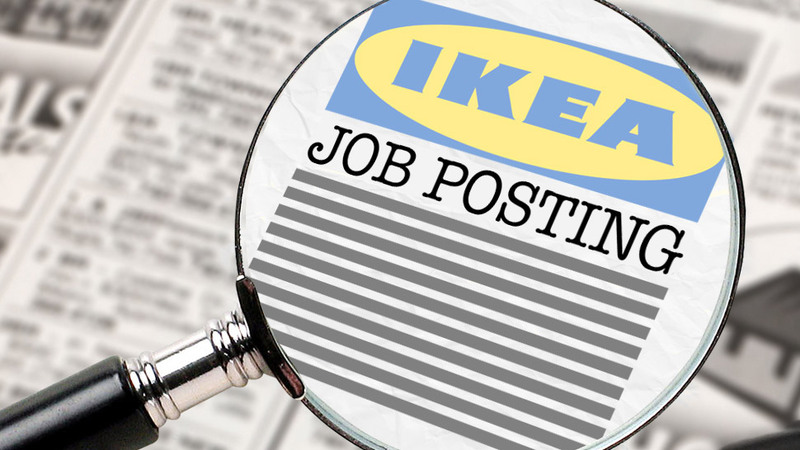 IKEA Southeast Asia is looking for a Design Manager who will be based in Manila. 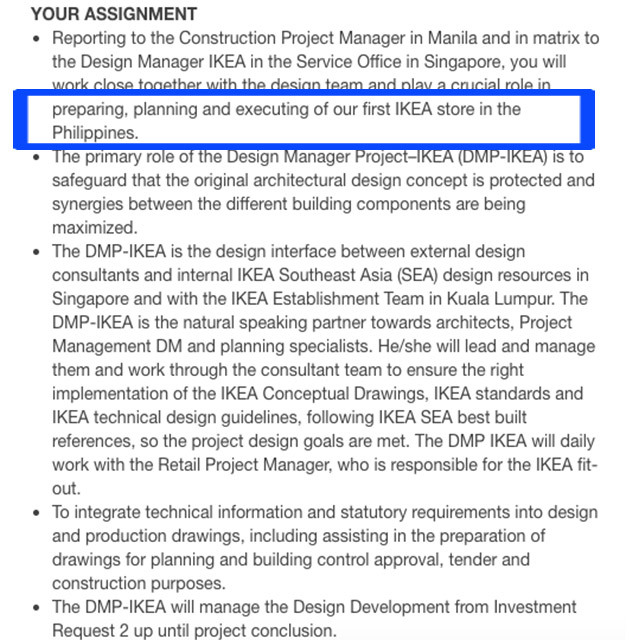 They are looking for an architect “who has a keen sense of commerciality and attention to details, capable of driving our ambitious projects by supporting the Property & Expansion team in the execution of the first IKEA Manila store.” The first IKEA Manila store—is this the confirmation we’ve been waiting for? As we scroll down further, we can’t help but feel ecstatic. We're keeping our fingers crossed for updates and do let us know if you learn more about developments as well. If you’re an architect or you know someone who’s up for the job, applications can be submitted via the job page on or before February 28. While they’re busy looking for the right one, all we can do is wait, dream about IKEA’s popular products, browse through catalogs, and maybe marvel at pieces our pets will love, too.